The Torrey PZC-5/10 offers unmatched quality and function in an economical portioning scale for your business. Perfect for pizza parlors, sandwich and salad shops, bakeries, supermarkets, or anywhere portion control is required. The PZC-5/10 features a progressive tare to obtain net weight, while automatically subtracting the container`s weight for precision measurement. 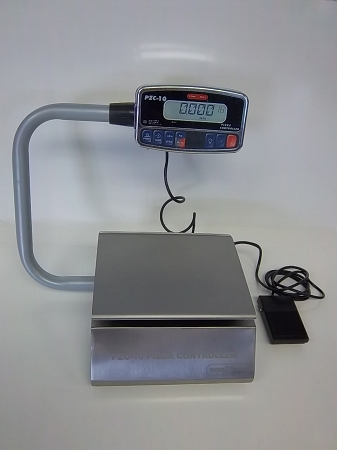 Featuring a foot tare pedal (included) to increase throughput and significantly enhance food handling safety, our scale functions with an AC adapter or built-in rechargeable battery with an auto power-off function to save power. The stainless steel cabinet and plate are designed to handle the rough handling of everyday use. The PZC-5/10 has a capacity of 10 lbs x .002 lbs - this gives the scale the precision you need to build consistent products and control costs while ensuring customer satisfaction and maximizing profitability for your business.